Mrouzia is one of the most important dishes of the Moroccan cuisine. It is a sweeten-salted tajine (a stew) with sweetened flavours of honey, cinnamon and almonds balanced by spices of the Ras el hanout blend of spices. 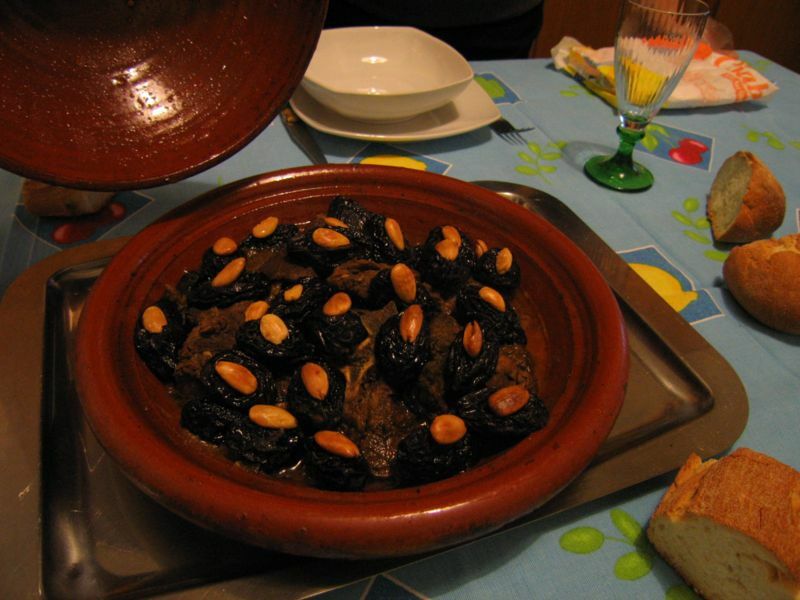 Left: A Mrouzia Tajine with calf, prunes and almonds. This tajine is one of the traditional dishes of the Eid al-Adha Muslim festival (Festival of Sacrifice). It is thus often made of lamb sacrificed at the time of the ritual of the festival.